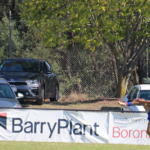 THE Geelong Falcons have dominated the NAB League throughout an unbeaten run extending over a year, and a raft of ball-winners have ensured that the first six rounds of this season have been no different. This edition of Number Crunching looks at which players are dominating each key statistic, while touching on the areas where teams have been most effective. As the competition benchmark, reigning premiers Geelong pride themselves on a stingy defence, robust midfield and dynamic forward line. To this point, statistics show that the engine room has been most productive, with the Falcons able to claim four of the top five leading possession winners as their own. Midfield bull Luka Lesosky-Hay leads all-comers with a whopping 132 disposals, but is beaten out by her skipper Lucy McEvoy‘s average of 22.4. Dynamic middle-ager Darcy Moloney ties with Paige Sheppard on 111, with Eastern bottom-ager Tess Flintoff (116) remarkably the only non-Falcon to make the top five. It is no surprise then that the ladder-leaders are the only side to average over 200 disposals (229), with Oakleigh’s average of 199 the next best. The Falcons’ dominance is also reflected on the scoreboard with a competition-high team total of 330 points, which combined with their competition-low of just 70 conceded, sees their percentage sit at a pretty 471.4 per cent. Versatile forward Mia Skinner heads the attacking front with a league-high 15 goals – including two bags of four – with partner-in-crime Renee Tierney claiming nine to sit fourth. 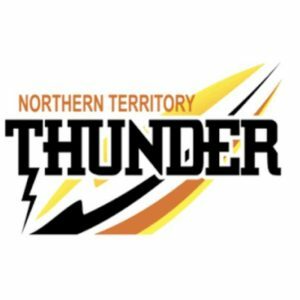 Northern, the only other undefeated team to this point, is Geelong’s closest competitor in both departments with 307 points scored and 116 conceded, but hosts a more even spread of goals. While the versatile forward and midfielder Britney Gutknecht boasts seven majors after booting four in Round 1, Nell Morris-Dalton (six), Ellie McKenzie and Alyssa Bannan (both five) have also all managed at least five goals as part of Northern’s multi-pronged attacking force. 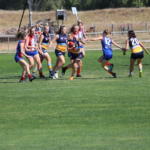 While the aforementioned stars have only managed to claim hauls of four at best, Calder’s Georgie Prespakis‘ bag of seven goals against Greater Western Victoria (GWV) remains a season-high, with Bendigo’s Elizabeth Snell the only player to kick five and no player able to find the scoreboard in every game. Despite Geelong and Northern’s heavy scoreboard dominance, sixth-placed Oakleigh has proven to be one of the more efficient sides inside-50. While the Chargers’ average of 26 inside 50s is good enough for just fourth-best in the competition, they score with 56 per cent of those entries to register 1.7 points from each. Northern is the only side to better that 1.7 average (1.8), with Geelong losing out due to its pure volume of entries. All three sides have impressive inside 50 to rebound 50 ratios, with Geelong’s (35/14) showcasing its dominance of field position. Having most of the possession bodes well for not having to come out of defensive 50 very often, but Eastern (31/16) and Oakleigh’s (26/15) ratios are also impressive for sides outside of the top four with lesser possession counts. Much of Eastern’s linkage towards forward 50 entries comes through bottom-aged midfielder, Flintoff, who leads the competition in both marks (36) and kicks (93). As one of the league’s more effective runners, Flintoff incredibly reels in almost a whole fifth of her side’s league-leading average of 33 marks each match. 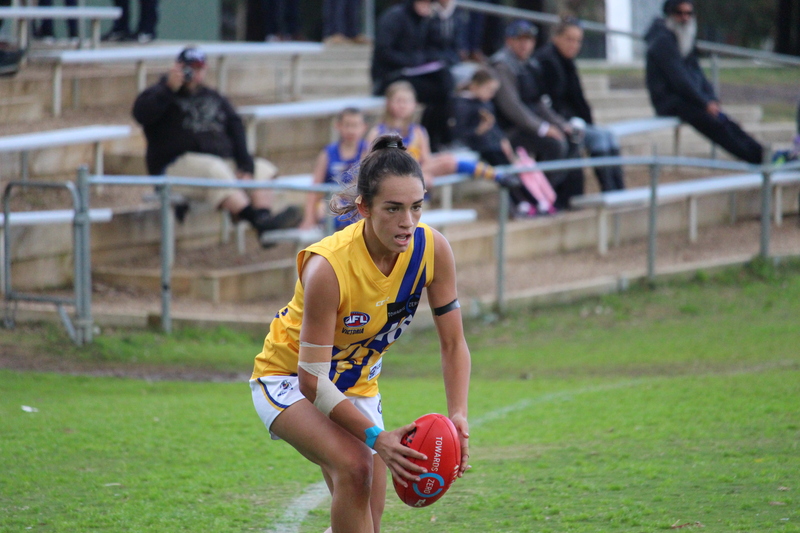 On the topic of hard workers, Bendigo’s Brooke Hards is the clear leader in tackles with a total of 49 seeing her average 8.2 per game. 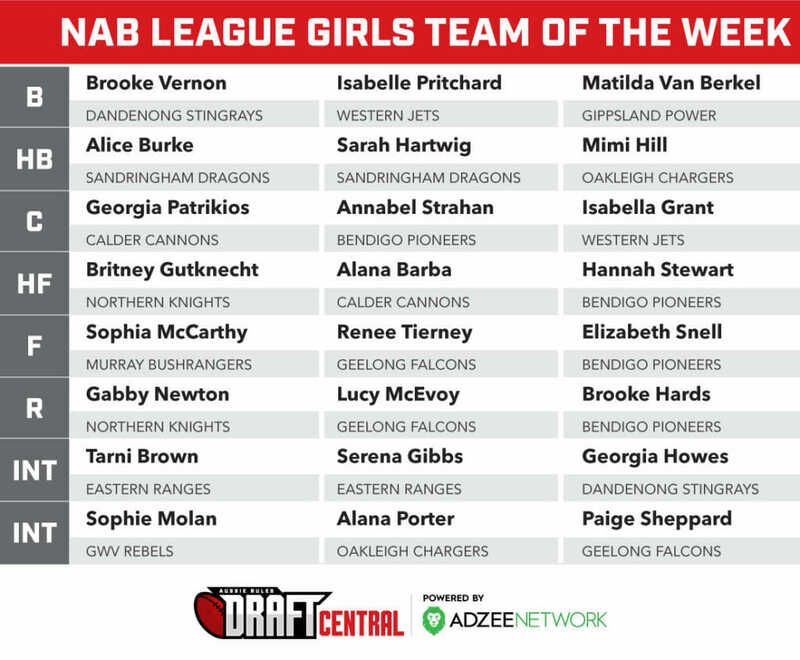 Sandringham’s Alice Burke and Dandenong’s Grace Hodder are next-best with 40 at eight per game, but only the Dragons feature in the top four pressure sides. Geelong and Northern, two of the most dominant possession sides, also tackle at the greatest volume to win the ball back with a total of 68 and 64 respectively. With one side featuring heavily across almost every stat line, there is hardly any secret as to why they continue to go from strength to strength. The best of the best have not just led the competition thus far, but they have been far and away the competition stand-outs – as the stats would suggest. 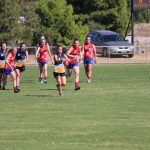 A FIVE-goal haul in windy conditions up at Epsom Huntly Reserve in Bendigo has earned 17-year-old Elizabeth Snell our NAB League Girls Rising Star of the Week for Round 5. Snell was everywhere on the weekend, booting the only two goals of the first half before finishing with three more in the second half. 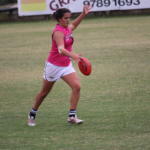 She also booted two behinds in challenging conditions for goal kicking. Having kicked just the one goal in the opening three rounds playing predominantly midfield, the athletic 165cm player had 14 disposals, five marks, four inside 50s and four tackles as well as the five goals in a vital game for the Pioneers who defeated Gippsland Power by 62 points yesterday. The star of the show up forward, booting 5.2 and looking dangerous whenever the ball went near her. She had a couple more chances to add to her tally, but could not quite convert, though with the blustery conditions, goals were difficult to come by as shown in the 8.15 scoreline. Snell has great goal sense to be able to turn opponents inside out and snap the ball through the big sticks with very little time. Great composure from her inside 50.